Didn’t British rulers leave anything to our benefit ? Before the British Rulers came to Sri Lanka, we were under the Portuguese and the Dutch. The 71st Independence Day was celebrated yesterday (4) with great dignity. British Imperialists invaded Sri Lanka (Ceylon) in 1796 and they brought the country into dominion rule in 1815. The British were in Sri Lanka till the independence, February 4, 1948. They introduced large scale plantations in Sri Lanka, mainly tea replacing coffee. They brought Indian labourers to work in plantations. The world’s oldest rubber research centre was established in Dartan Field in Agalawatta in Kalutara District by the British and it was one of the gifts to us. Lunuwila Coconut Research Centre and Tea Research Centre in Talawakele are two of the landmark institutions. They introduced Railway to transport the produce to Colombo from the hill country and introduced “Lipton Tea”. 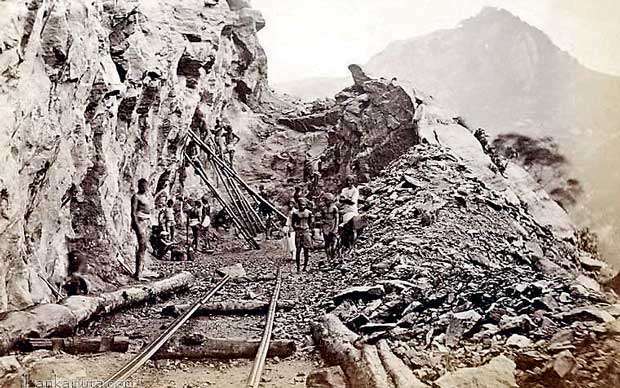 In 1864 they commenced the construction of railway line from Colombo to Ambepussa during the period of British Governor Frederick North and constructed the up-country railway line up to Badulla with great difficulties without modern construction facilities including 46 tunnels up to Badulla. In the meantime, they constructed railway line for small train service from Colombo to Opanayake and normal railway line to Nuwara Eliya from Nanu Oya. After gaining Independence we could not maintain these two railway lines due to our inability and small train line operated up to Opanayaka was curtailed up to Avissawella. Nanu Oya to Nuwara Eliya railway line has been demolished. It shows our development in railway. During the Premadasa regime, a railway line was introduced to Mihintale from Anuradhapura. We learned that this line is operated only for Poson Festival Season in Anuradhapura. Though they constructed upcountry railway line with various difficulties without modern facilities during those days, we could not construct our railway line with modern construction facilities up to Kataragama which is a flat area. It was quite recently that the Southern Railway Line was extended up to Beliatta. Anyway, if the colonial rulers had not come to Sri Lanka, travelling to Badulla by train would have only been a pipe dream. British rulers introduced their education system to Sri Lanka and still, we are following the British curriculum however with some alterations. They also gave us Westminster Parliament system and Judiciary system. We had a clean and impartial judiciary system under British rulers. We are following the same Judiciary System introduced by British rulers. One example can be indicated as to how they have delivered verdict impartially. There was a court case named The Bracegirdle Incident. In this case, the verdict was delivered in favour of the complainant and not in favour of their Governor. They never biased delivering verdicts to anyone. We know very well a case regarding Hambantota. A judge who gave his ruling on the case said later on the last election platforms that he had sent the culprit home instead of sending him to jail. He begged pardon about his ruling. If this case was heard during the British period, definitely the culprit would be imprisoned. Our people are always allege that the British rulers looted our property. There are pros and cons of any person or anything. We cannot expect 100% well from anything. They established three research centres for three crops such as tea, coconut and rubber. Dartan Field Rubber Research Centre is the world oldest research centre and the tea research centre was established in Talawakele and Research Centre for coconut was established in Lunuwila. They refurbished the irrigation system of the country, especially in Hambantota District. Road network was properly processed islandwide and those facilities were given to rural areas of the country. Ultimately, I can state that if we were further under British rule at least 50 years, I am sure we would have been ahead in our development and the country would have been in a good position economically and socially and technologically. The Leftists always lament that the British rulers looted our wealth. But they always used to go to UK or Western Countries for medical treatment and sending their children for higher education in the UK without shame. In conclusion, I take this opportunity to salute the British rulers, who ruled Sri Lanka on the day we commemorate 71st Independence Day.